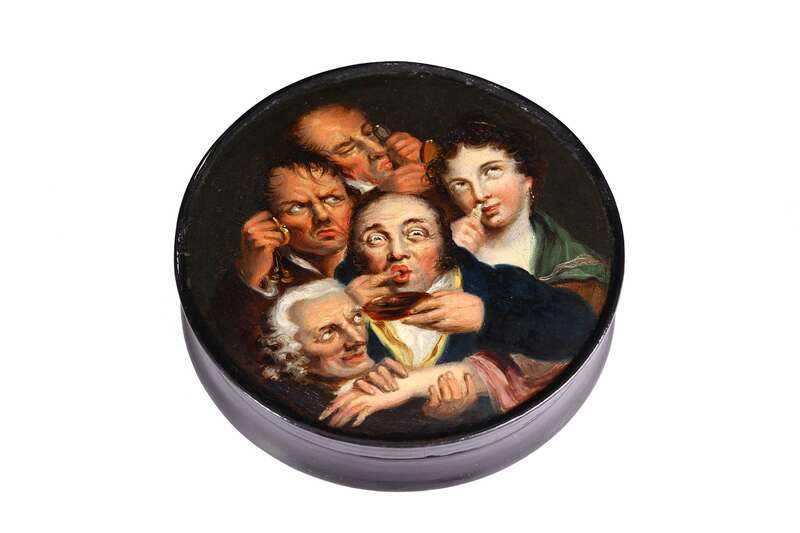 This papier-mâché snuff box has been decorated with a copy of Louis-Leopold Boilly’s Les cinq sens [The Five Senses], one of ninety-six lithographic plates later grouped under the collective title Recueil de grimaces [Collection of Grimaces] which were published in Paris between 1823 and 1828. The underside of the lid is signed by Samuel Raven (c.1774 – 1847), a Birmingham artist who specialised in portraiture and works in miniature. 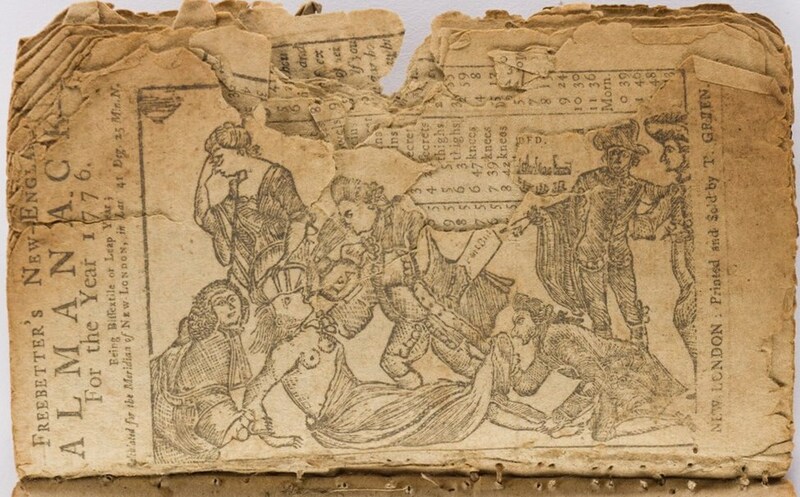 Raven had begun his career working for the japanner Henry Clay but the popularity of his work was such that by 1815 this relationship had inverted, with Clay supplying plain boxes for Raven to decorate on his own account. ‘His Royal Highness the Duke of Sussex, after having personally expressed himself to S. Raven that he was highly gratified with the Segar [sic] Case lately presented to him, was pleased to command that Portraits should be taken, by the same Artist, of his Royal Highness and the late Duke of Kent; which being now finished may be seen previous to their transmission to Kensington Palace, at Mr. Cooke’s, Carver and Gilder, New Street’. It was presumably around this time that Raven began adding the postscript “Patronaged by H.R.H. the Duke of Sussex & Prince Leopold” to his signature as a means of advertising his famous clientele. This box may have originally carried the same message, as there are clearly traces of further writing below the words ‘Raven pinxit’ on the underside of the lid which have subsequently been obliterated. 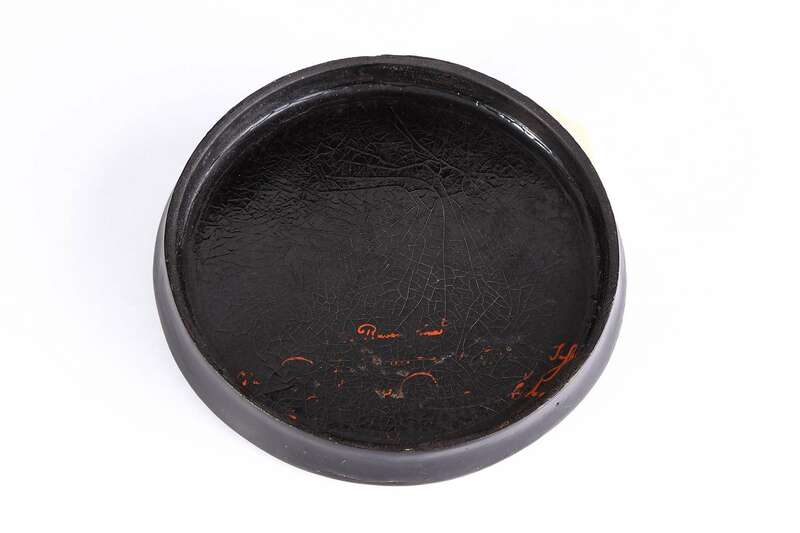 A short biography of Samuel Raven, including examples of his work on snuff boxes and a self-portrait of the artist can be found on the Eighteenth Century Birmingham blog. Most snuff boxes were small items intended for personal use. The box shown here measures 9.5cm in diameter and was small enough to place in a coat pocket. However Raven also decorated larger boxes for use in taverns and other communal spaces. 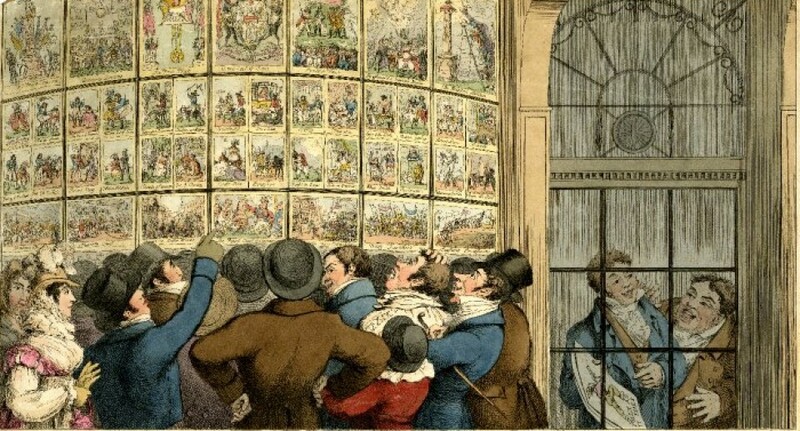 The V&A has one of those boxes, decorated with a portrait of George IV, in its collection.